2.23mm x 19.69mm / 0.088in. x 0.775in. Eating Utensils Charm by Rembrandt Charms. The length is 3/4 of an inch. 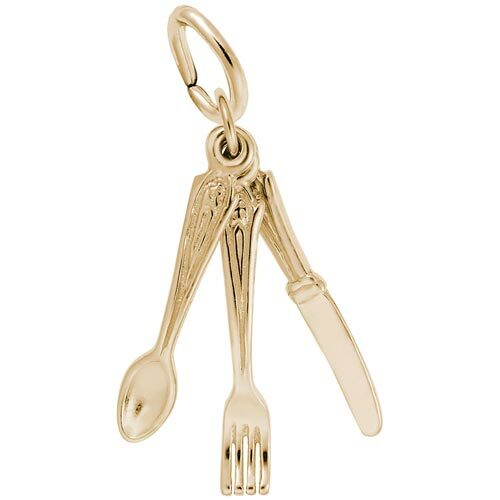 Stir things up with our Eating Utensils Charm. A great item to show off your love for the kitchen. These Utensil charms can be placed on a necklace or will be a wonderful addition to a Charm Bracelet. All Rembrandt Charms are available in either silver or gold.